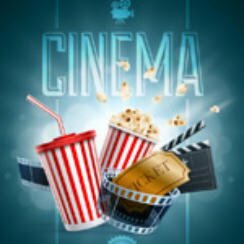 Popcorn Cinema Show takes a look at the weeks Cinema Releases for 26th February 2016 in the UK, US, Australia and New Zealand at the cinema, plus all the weeks film news. So what new releases do we have this week? Well in UK we have the thriler Secret In Their Eyes whilst in the US the adventure Gods of Egypt. Those are just two of the films out but first lets take a look at the weeks movie news..
Douglas Slocombe dies aged 103 he passed away on the 22nd February 2016. A well known cinematographer his films included Ealing comedies such as The Lavender Hill Mob as wells Kind Hearts and Coronets. Other well known films include the Indiana Jones films: Raiders of the Lost Ark, Temple of Doom and the Last Crusade. He won three Bafta awards for the films, The Servant (1964), The Great Gatsby (1975) and Julia (1979). Slocombe also worked on other well known films such as The Italian Job as well as Jesus Christ Superstar. A group of corrupt cops find themselves being blackmailed by Russian mafia to carry out what seems to be a totally impossible heist. Looking for a way out, they come up with a plan involving the murder of a rookie cop. Paranormal forces are at play as young woman searches through a Japanese forest trying to find her twin sister. Eddie the Eagle is based on the true story about Michael “Eddie” Edwards the British ski-jumper who never stopped believing in himself. Eddie takes makes an unlikely appearance at the 1988 Calgary Winter Olympics. Bek has to save the world and rescue his true love, however he must enlist the help of the powerful god Horus in an unlikely alliance against Set, the merciless god of darkness.